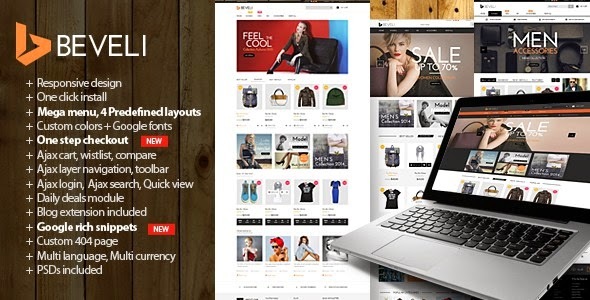 Beveli is extremely powerful and flexible premium Magento Theme with responsive & retina ready design. It’s easy to install and customize. Beveli is suitable for fashion shop, women fashion shop, man fashion shop, jewelery shop, accessories shop. This theme comes with lots of custom block such as support, logo, navigation, menu, etc. Highlight is a big slideshow s with large images, texts and transition, css3 effects below Mega Menu. Daily Deals module shows discount products with timer countdown in slider. Types of products such as best selling, new, featured are displayed in each tab in slider or are displayed in slider interleaved static blocks with nice images. Google Maps is integrated in Contact Us page helps customers can find location of your store more easily. Customers will feel more comfortable with 404 not found page – a beautiful and clean page although they have clicked a broken link. Shopping becomes faster and easier by Ajax layered navigation, Ajax add to cart, product quick view module. Blog and Twitter are integrated in this theme help customers and shopkeeper become closer with each other through comments, tweets,... In this template, we also use Google Fonts, Awesome icon fonts, colors customization increase effective of this website. 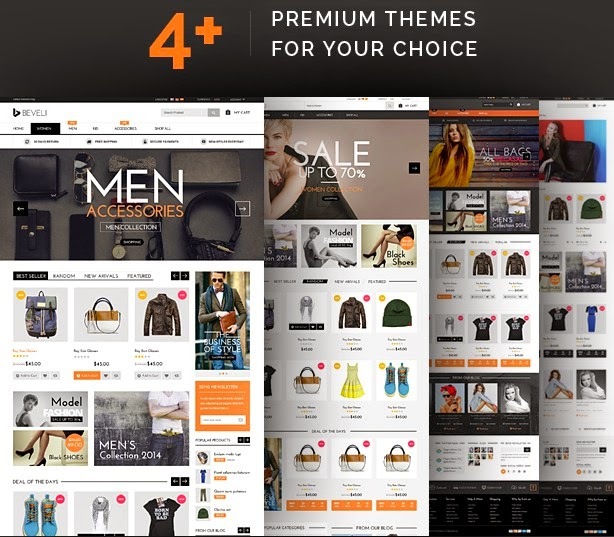 Item Reviewed: Beveli Multipurpose Responsive Magento Theme 2015 9 out of 10 based on 10 ratings. 9 user reviews.